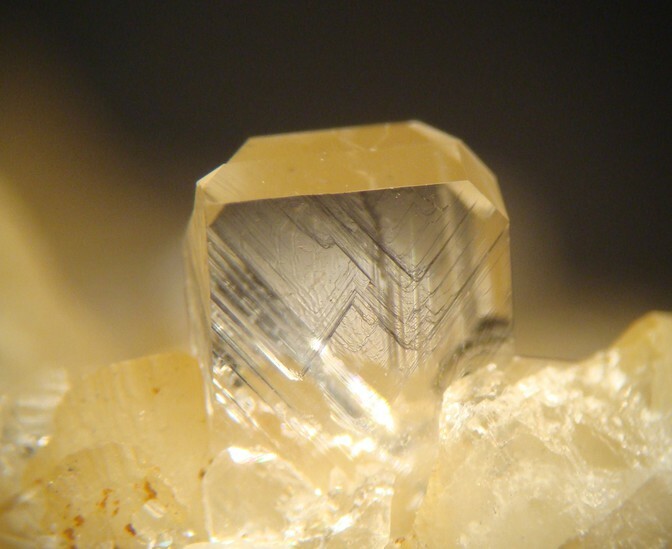 Sellaite: Mineral information, data and localities. Colourless, white; colourless in transmitted light. 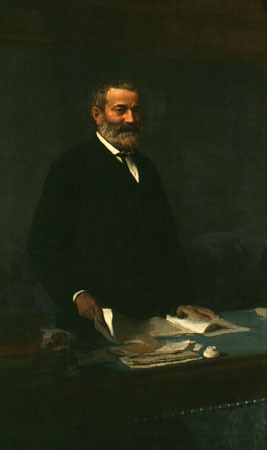 Named for Quintino Sella (1827-1884), Italian mining engineer and mineralogist. 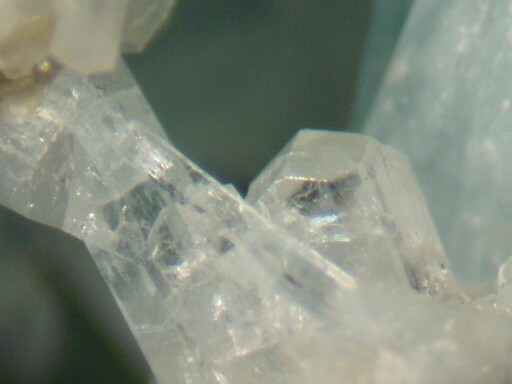 Visit gemdat.org for gemological information about Sellaite. Crystals stout prismatic to acicular . Fibrous aggregates. In bituminous dolomite-anhydrite rock in a glacial moraine. Magnesite-Siderite Series 10 photos of Sellaite associated with Magnesite-Siderite Series on mindat.org. Quartz 6 photos of Sellaite associated with Quartz on mindat.org. Fluorite 6 photos of Sellaite associated with Fluorite on mindat.org. Sanidine 6 photos of Sellaite associated with Sanidine on mindat.org. Beryl 4 photos of Sellaite associated with Beryl on mindat.org. Pseudobrookite 4 photos of Sellaite associated with Pseudobrookite on mindat.org. Phlogopite 3 photos of Sellaite associated with Phlogopite on mindat.org. Aegirine 2 photos of Sellaite associated with Aegirine on mindat.org. Topaz 2 photos of Sellaite associated with Topaz on mindat.org. Morinite 2 photos of Sellaite associated with Morinite on mindat.org. Crystals exhibit a pale violet light when warmed and cleaved. Very slightly soluble in water. Decomposed by concentrated H2SO4. Scacchi (1886) Acc Napoli, Mem. : 1, no. 5 (as Belonesite). Sella (1887) Acc. Linc., Mem. : 4: 455. Pelloux (1919) Acc. Linc.Att. : 28: 284. Buckley and Vernon (1925) Phil. Mag. : 49: 945. Starraba (1930) Società geologica italiana, Rome, Bollettino: 48: 259 (as Zamboninite). Heidorn (1932) Centralblatt für Mineralogie, Geologie und Paleontologie, Stuttgart: 356. Palache, Charles, Harry Berman & Clifford Frondel (1951), The System of Mineralogy of James Dwight Dana and Edward Salisbury Dana Yale University 1837-1892, Volume II: Halides, Nitrates, Borates, Carbonates, Sulfates, Phosphates, Arsenates, Tungstates, Molybdates, Etc. John Wiley and Sons, Inc., New York, 7th edition, revised and enlarged: 37-39. Sahama (1945) Ann. Ac. Sc. Fennicae, (A), part III, no. 9. Acta Crystallographica (1976): B32: 2200-2204. Pfaff, K., Staude, S., Markl, G. (2012): On the origin of sellaite (MgF2)-rich deposits in Mg-poor environments. American Mineralogist, 97, 1987–1997. The following Sellaite specimens are currently listed for sale on minfind.com. Ross, A., 1978, EL 9/76 Blue Tier area annual report, unpub. TAsmanian Company Report 78-1314. Canadian Mineralogist (1996): 34: 657-665. Weifan Ding (1983): Acta Mineralogica Sinica 3(3), 193-197: Denghong Wang, Yuchuan Chen, Jue Xu, Jianmin Yang, Chunji Xue, and Shenghao Yan (2000): Acta Geologica Sinica 74(3), 478-484. Belot, Victor R. (1978) Guide des minéraux, coquillages et fossiles: où les trouver en France, comment les reconnaître et les collectionner (Guides Horay). Pierre Horay (Ed. ), 224 pp. ; Mari, G. (2002) La mine de Fontsante (Var). Le Règne Minéral, 43, 38-60. Walenta, K. (1992): Die Mineralien des Schwarzwaldes. Chr. Weise Verlag, München, 336 pp. (in German); Pfaff, K., Staude, S., Markl, G. (2012): On the origin of sellaite (MgF2)-rich deposits in Mg-poor environments. American Mineralogist, 97, 1987–1997. Palache, Charles, Harry Berman & Clifford Frondel (1951), The System of Mineralogy of James Dwight Dana and Edward Salisbury Dana Yale University 1837-1892, Volume II, John Wiley and Sons, Inc., New York, 7th edition, revised and enlarged, 1124 pp. : 39. Palache, Charles, Harry Berman & Clifford Frondel (1951), The System of Mineralogy of James Dwight Dana and Edward Salisbury Dana Yale University 1837-1892, Volume II, John Wiley and Sons, Inc., New York, 7th edition, revised and enlarged, 1124 pp. : 39.; Russo M., Campostrini I., Demartin F. (2014): Fumarolic minerals after the 1944 Vesuvius eruption. Plinius, 40, 306. Flamini, A. (1966): Sulla composizione chimica della nocerite. Periodico di Mineralogia, 35, 205-222; Aleksandrov, S.M. [Александров, С.М.] (1974): Geochemical peculiarities of the occurrences of endogenic borate mineralisation in Italy [Геохимические особенности проявления эндогенной боратной минерализации в Италии]. Geokhimiya, 10, 1440-1449 (in Russian); Carati, M. (1988): I minerali degli inclusi metamorfosati nel Tufo Grigio Campano. Notiziario del Gruppo Mineralogico Geologico Napoletano, 18, 5-12; Balassone, G., Franco, E., Mattia, C.A., Petti, C., Puliti, R. (2002): Re-examination of fluosiderite, an unknown mineral from southern Italy: equal to fluorine-rich chondrodite. European Journal of Mineralogy, 14, 151-155. Brizio, P., Bittarello, E., Ambrino, P., Ciriotti, M.E. (2014): Cava di Cumbë Suřdë, Signols, Oulx, Val di Susa, Torino, Piemonte. GMT 2014 Giornate Mineralogiche di Tavagnasco, 6-8 giugno 2014. Plinius, 40, 178. Palache, Charles, Harry Berman & Clifford Frondel (1951), The System of Mineralogy of James Dwight Dana and Edward Salisbury Dana Yale University 1837-1892, Volume II, John Wiley and Sons, Inc., New York, 7th edition, revised and enlarged, 1124 pp. : 39; AA. VV., 1996. Collezionare minerali. Hobby & Work. Palache, Charles, Harry Berman & Clifford Frondel (1951), The System of Mineralogy of James Dwight Dana and Edward Salisbury Dana Yale University 1837-1892, Volume II, John Wiley and Sons, Inc., New York, 7th edition, revised and enlarged, 1124 pp. : 39; Orlandi P., Franzini M., 1994. I minerali del marmo di Carrara. Amilcare Pizzi S.p.A., Milano. Pelloux, A. (1919) La sellaite del marmo di Carrara. Atti della Reale Accademia dei Lincei, serie 5, Rendiconti, Classe di Scienze fisiche, matematiche e naturali, 28, 2° semestre, 284-287; Pelloux, A. (1919) Minerali della regione marmifera carrarese. Memorie dell'Accademia Lunigianese di Scienze "G. Cappellini", 1, 3-4, 96-107; Orlandi, P., Bracci, G., Dalena, D., Duchi, G., and Vezzalini, G. (1980) I minerali delle geodi della formazione marmifera di Carrara. Atti della Società Toscana di Scienze Naturali, Memorie, serie A, 87, 93-124; Franzini, M., Orlandi, P., Bracci, G., and Dalena, D. (1987) Minerals of the Carrara marble. Mineralogical Record, 18, 263-296; Orlandi, P., and Criscuolo, A. (2009) Minerali del marmo delle Alpi Apuane. Parco delle Alpi Apuane - Pacini Editore, Ospedaletto-Pisa, 180 pp. ; Biagioni, C., Orlandi, P., Camarda, S., Chinellato, M., Appiani, R., Del Chiaro, L., and Sanguineti, G. (2019) Minerals from marbles of Carrara and the Apuan Alps. LoGisma editore, Vicchio (Firenze) - Musumeci S.p.A., Quart (Aosta), 144 pp. Pekov, I.V., Zubkova, N.V., Pautov, L.A., Yapaskurt, V.O., Chukanov, N.V., Lykova, I.S., Britvin, S.N., Sidorov, E.G. and Pushcharovsky, D.Y. 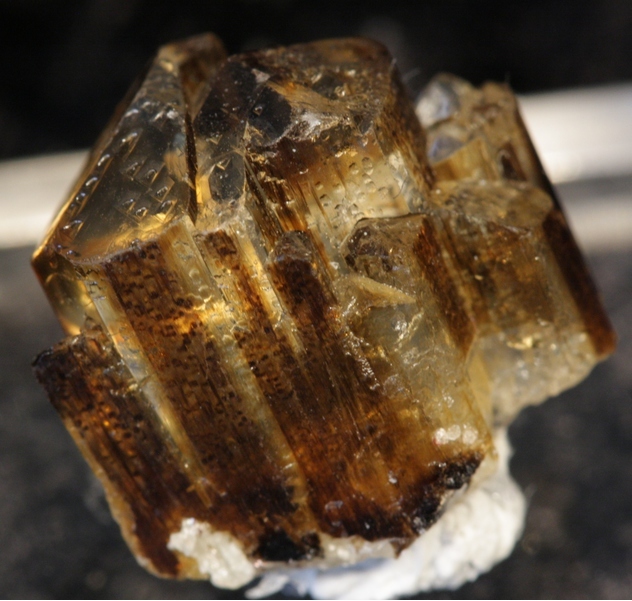 (2015): Chubarrovite,KZn2(BO3)Cl2, a new mineral species from the Tolbachik volcano, Kamchatka, Russia. Canadian Mineralogist. 53: 273-284. Mineralogical Magazine 1997 61 : 779-789; Mitchell, R. H. (1997). Carbonate-carbonate immiscibility, neighborite and potassium iron sulphide in Oldoinyo Lengai natrocarbonatite. Mineralogical Magazine, 61(6), 779-789. Zambezi, P., Voncken, J.H.L., Hale, M., and Touret, J.L.R. (1997): Mineralogy and Petrology 59, 239-250.